The most versatile and all-purpose call. Our handmade, hand-tuned variable pitch predator call gives you the ability to call predators and covey quail in one call. We’ve got your ground game covered. We’ll help you get them in the air. The rest is up to you. We've got you covered on earth and wind. To many, predator hunting has fallen by the wayside to more popular hunt ventures. However, hunting coyotes, bobcats, and other predators actually helps preserve and increase the populations of deer and other game that can be decimated by these animals. Hunting predators tests the skill of the sportsman. These are cunning creatures with keen eyesight, great sense of smell, and a general skepticism of anything out of the ordinary. Some hunters enjoy this challenge because it gives them something to hunt in the off-season. 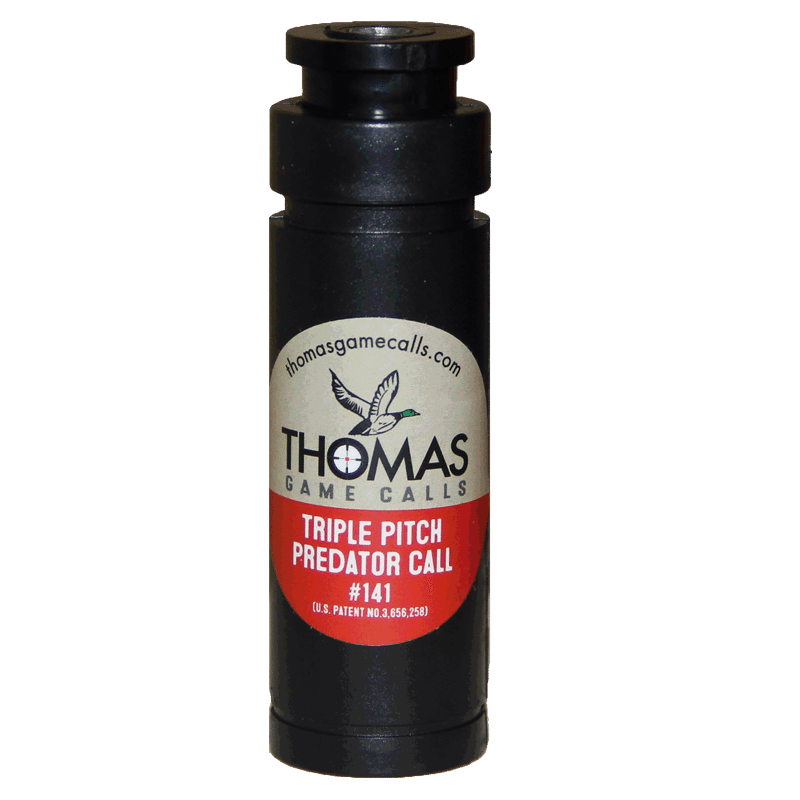 With the Thomas Variable Pitch Predator to Hawk Call, Thomas Game Calls has provided a tool for both off-season and regular season hunting. The authentic sounds that can be reproduced with this handmade predator call allow you to dominate the predators on the ground. 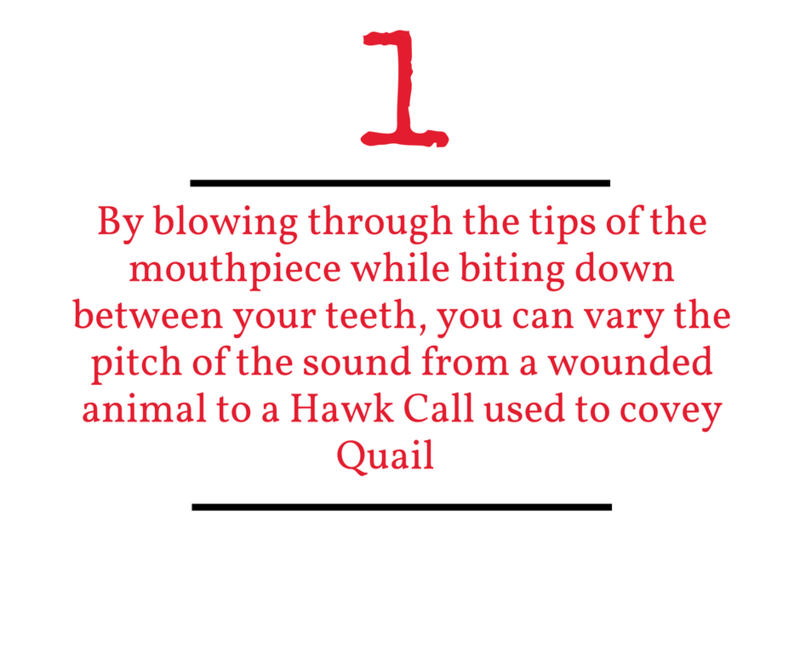 Then, when the season opens, you’ll be ready to control the air when hunting for quail because this call also allows you to accurately depict a hawk cry that will get those invisible birds off the ground and into the air. Put versatility in your pocket with this classic all-purpose call. Get the best Variable Pitch Predator Call on the Market. Hunting predators can be tricky business. Wildlife predators are all over the United States and different states address their hunting restrictions in different ways. Predators are a particular concern in states that have an emphasis on cattle and other livestock production, in addition to conserving game for recreational hunting within the state. 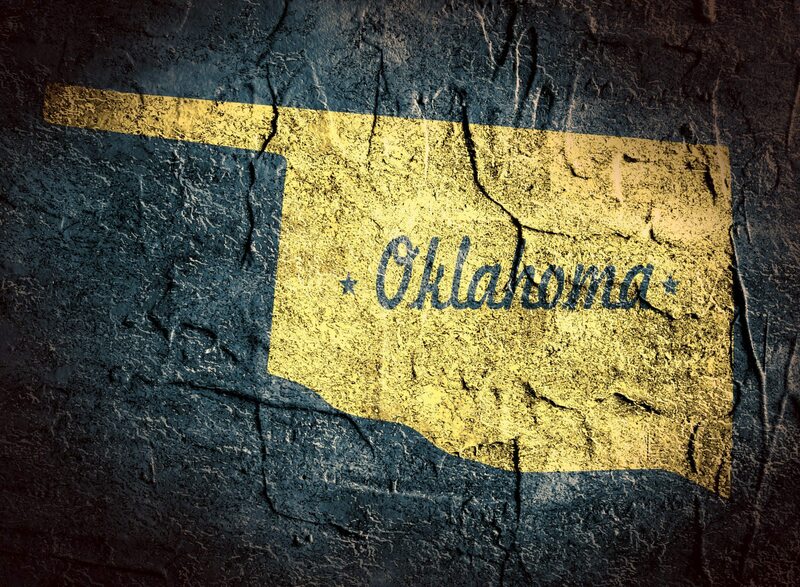 Three states we highlight here are Oklahoma, Kansas, and Colorado, where the regulations for predator hunting, especially coyote, are fairly generous. Since the variable pitch predator to hawk call can also be used to hunt quail, pheasants, and other small game birds, we thought it might be helpful to link to those states’ regulations and permit requirements for bird hunters as well. We hope this is helpful to you. 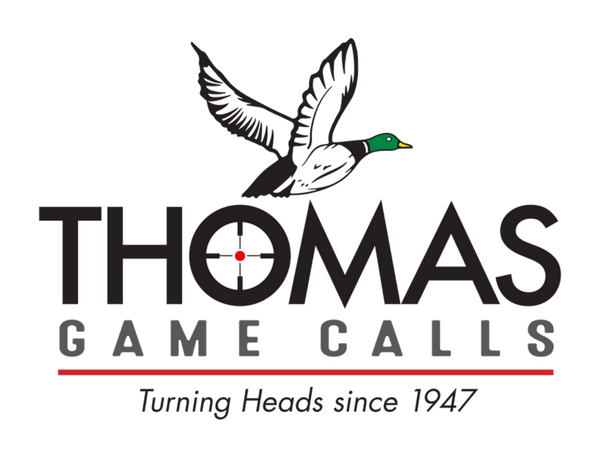 Thomas Game Calls wants you to have a successful hunt wherever you go. Our Variable Pitch Predator to Hawk Call was handcrafted to help. Josh stoked the fire more out of a need to keep his hands busy while he reminisced about the day than out of need. It had been a good day hunting quail with his brother, Jared. Both worked in the city now and there weren’t many times they could just get away like when they were kids. The two men were resting from the hunt and subsequent cleaning of their take. Josh was grateful that Jared had thought to bring some bacon and jalapenos to dress the quail for their dinner tonight over the campfire. “It was the least I could do after you remembered to bring that call. I can’t believe how many we got in the air today,” he had said. 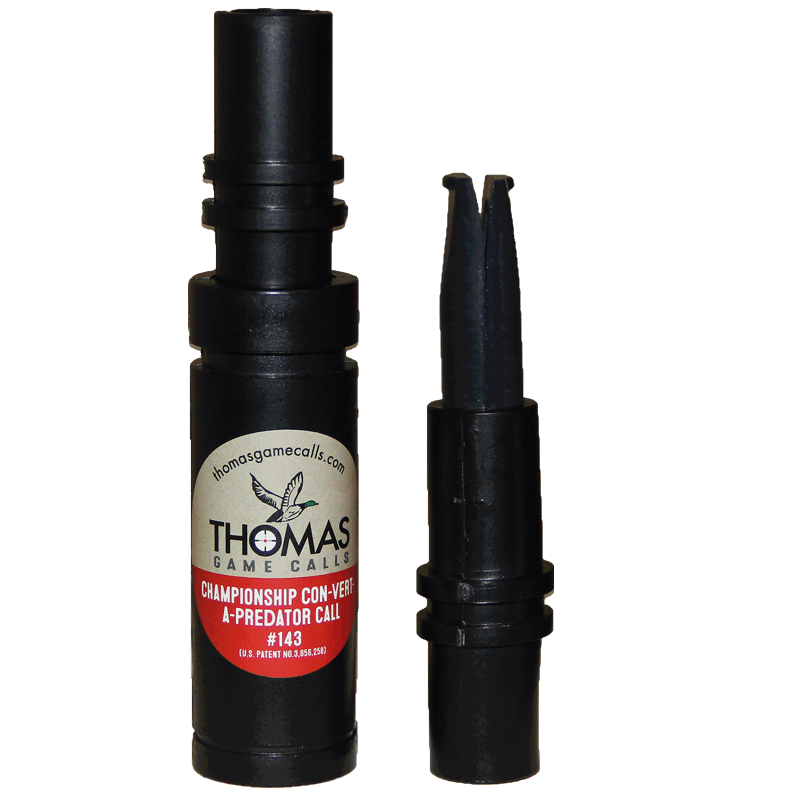 The Variable Pitch Predator to Hawk Call from Thomas Game Calls was a gift from Melanie’s father a few Christmases ago. 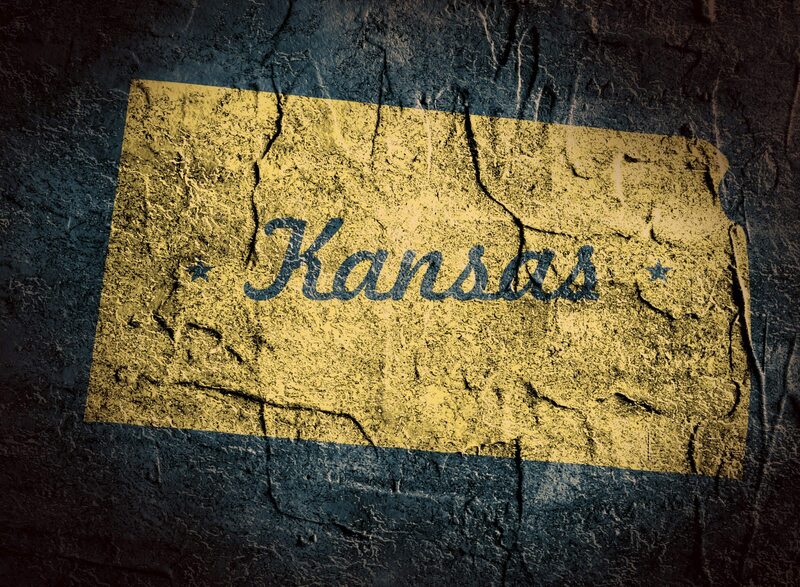 It had proven its worth repeatedly and today was no different. Out here in the middle of nowhere, the two men were just settling in with full stomachs, warm feet, and evening conversation when the first coyote howled. 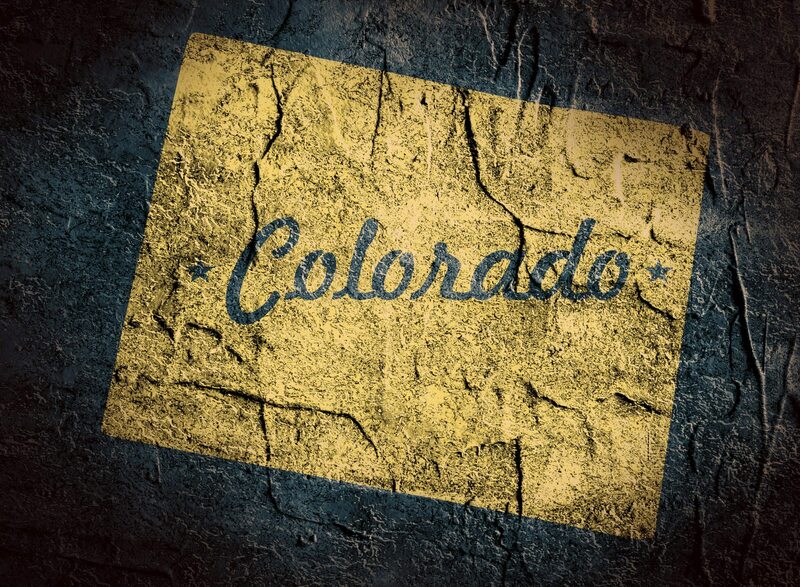 Josh gave his brother a boyish grin and, holding up his Thomas call, said, “Wanna see what else this thing can do?” They both grabbed their guns and reloaded them, doused the fire, grabbed some flashlights, and went in search of higher ground. Cover your offense and defense.